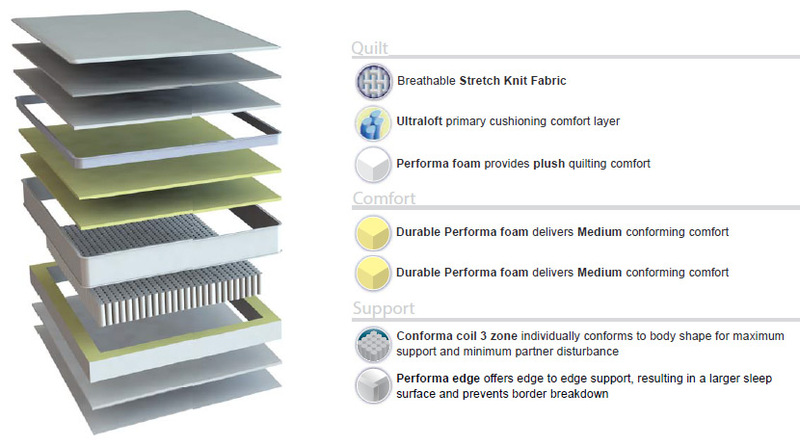 The Profile™ Edge Support Technology offers edge to edge support resulting in a larger sleep surface and ensuring a greater life span. Our dedication to quality results in superior comfort and a perfect night’s sleep. That is why the Domino Essentials Dynasty Medium Mattress comes with a comprehensive 10 years warranty.